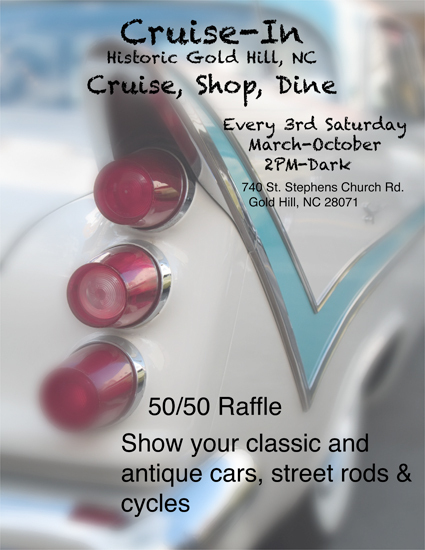 The Gold Hill Cruise-In is back this weekend, Saturday April 21st. Bring your classic car or just admire the others that are here! Cruise-In starts at 2PM and goes until dark. We have a DJ playing the great music that will bring back all of those old memories. Look for the classic cars in the village every third Saturday through October.